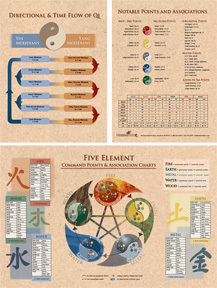 A highly informative folding chart with the five elements command points, their associations, the directional and time flow of Qi and notable points and associations. 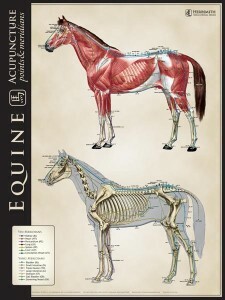 Laminated for durability. 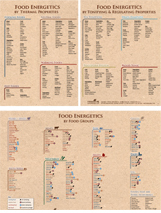 A highly informative folding chart that lists the energetics of popular foods by their thermal properties, tonifying and regulating properties, and by food groups. 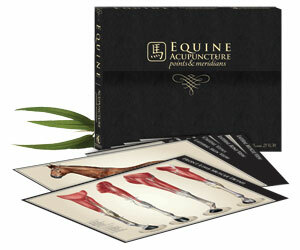 Laminated for durability. 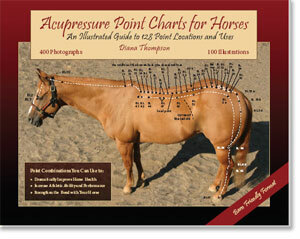 Acupressure Point Charts for Horses is an accurate, user-friendly guide to the locations of 128 equine acupressure points and 14 energy flows. 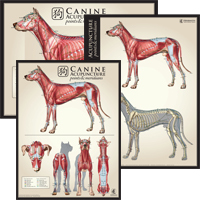 The 272-page book is printed in a flip chart format on 8 1/2″ by 11″ durable paper. 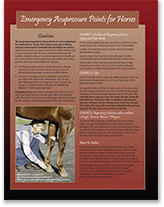 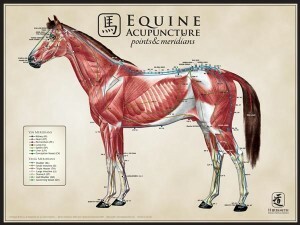 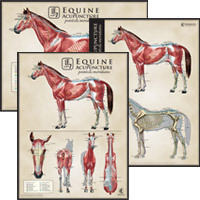 It includes: More than 400 high-quality black-and-white photos of horses with the locations of the acupressure points and energy channel pathways 100 anatomical illustrations that highlight the muscles and bony landmarks near each point Detailed captions with step-by-step hands-on instructions to help you find the points Acupressure how-to lesson and safety tips Subject charts showing the specific points known to relieve specific health and behavior problems. 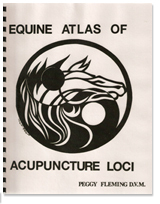 The Equine Atlas of Acupuncture Loci contains 14 pages of hand-drawn illustrations, each depicting a different view of the horse. 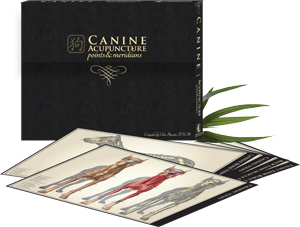 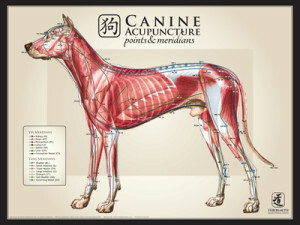 Acupuncture points are shown on muscular as well as skeletal illustrations. 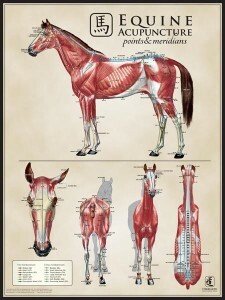 In addition, a chart describing each point, it’s meridian, location and indications can be found at the beginning of the book. 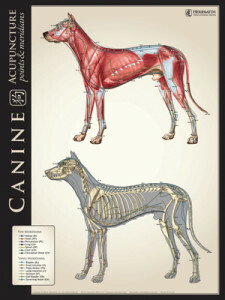 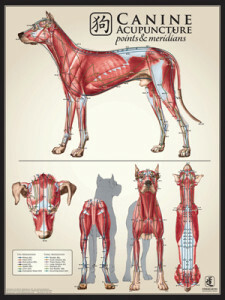 A very useful reference for holistic veterinarians!